I have spent the past 6 weeks digitising mosaic fragments here in the DIU. 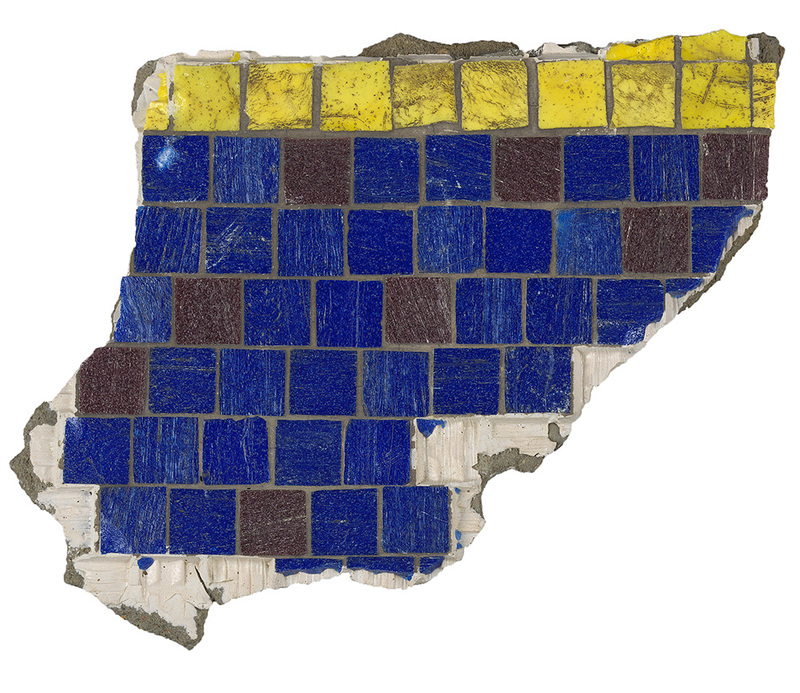 Recently removed from Tottenham Court Road Tube Station, London, these mosaics were once part of a mural by the Scottish artist Eduardo Paolozzi that was first installed in 1984. 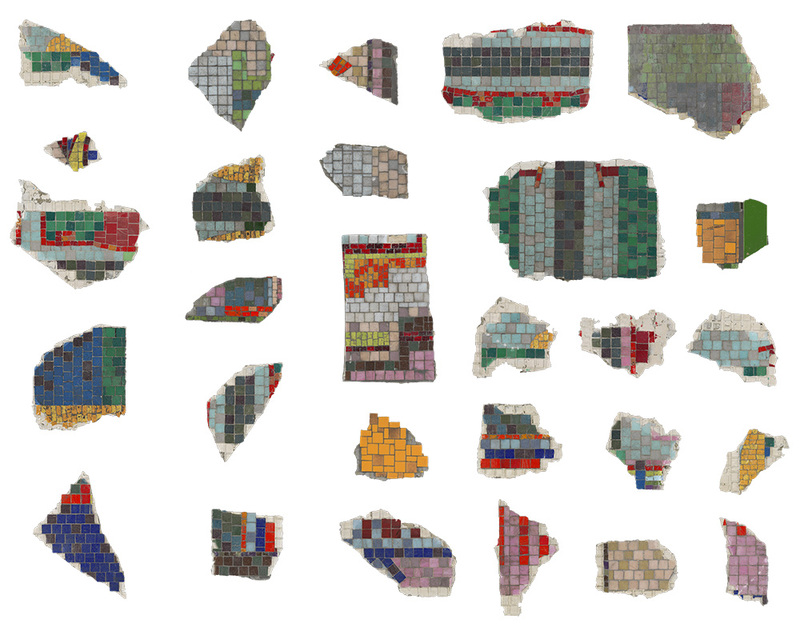 The mosaics, now part of the University of Edinburgh Art Collection, make up about 5% of all the Tottenham Court Road murals by the artist, with the mosaics I am working on coming from the station archways more specifically. In an article for the Guardian Newspaper, London Underground’s design and heritage manager, Mike Ashworth, called this “one of the UK’s largest art conservation projects of the last decade” so I am very pleased to be involved. 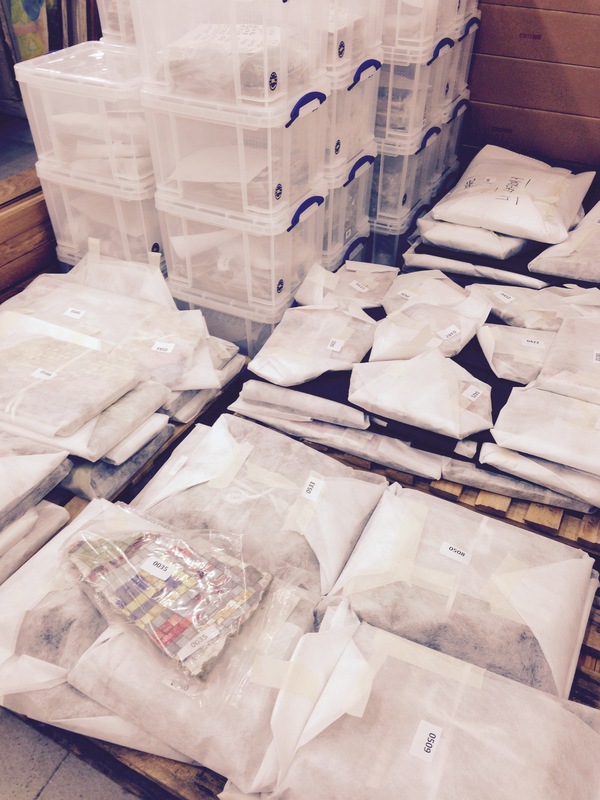 There are approximately 600 fragments of various shapes, sizes and colours spread over 42 boxes and 4 pallets. Unfortunately, the mural was not removed with conservation in mind so it is not exactly in great condition. It will be challenging to piece it all back together, first digitally and then physically. The long-term plan is to reconstruct the mural and install it within the university campus therefore giving it new life. So watch this space…! I have been tasked with digitising each fragment. On completion, the aim is then to use the images in conjunction with image recognition software and an image of the original design, to digitally re-assemble the mural. This should provide a new digital image of the mural which will assist with the proposed physical reconstruction. The process will inform us whether areas of the mural are missing, and would need to be remade in some form. On a technical level, I have been using a high-spec digital Hasselblad-H4 camera and professional, Bowens studio lights in my digitisation process. To begin with, I capture several mosaic fragments in one shot and then go on to crop, and edit, each piece individually before saving as a separate, new file. 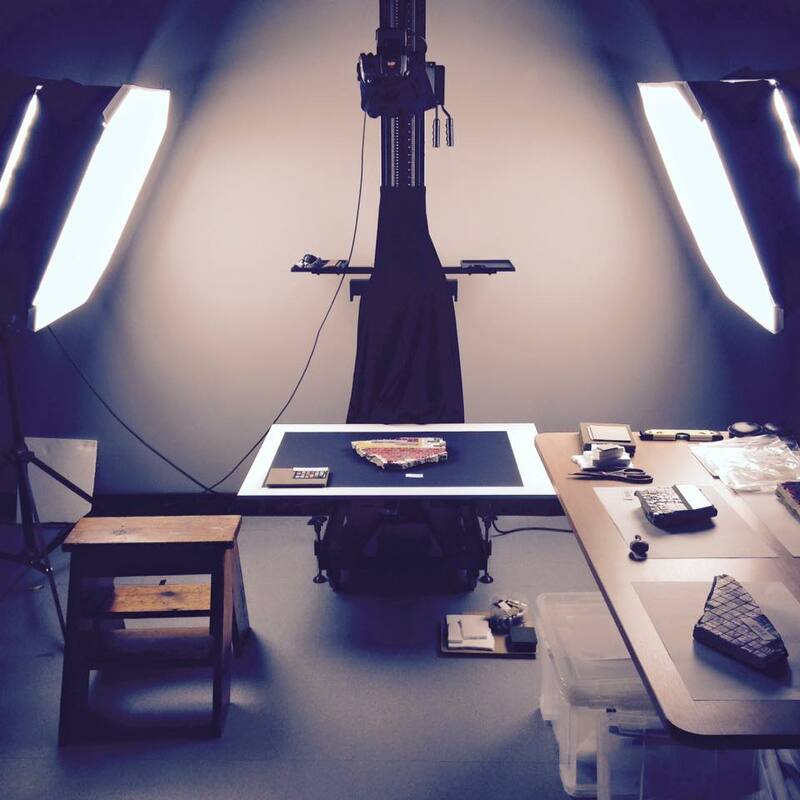 The tricky part comes in ensuring that the scale of each fragment is represented correctly with every image produced. This is why placing a ruler within each raw image capture is crucial so to allow for the mosaics to be scaled to a 1:1 ratio by resizing them in Adobe Photoshop. If the size of the fragments were to be incorrect then this could cause problems later down the line when trying to complete this digital jigsaw (see image below!). Further, the faces/upside of the mosaics must be perpendicular to the focal plane of the camera and, collectively, the mosaics must be of equal distance to focal plane. The same principles apply for the positioning of the ruler itself. This confirms that perspectives are not distorted and that the relative size of the mosaics remains consistent throughout the project. Currently, I am awaiting the arrival of the pallets as I have digitised all the fragments from the boxes. 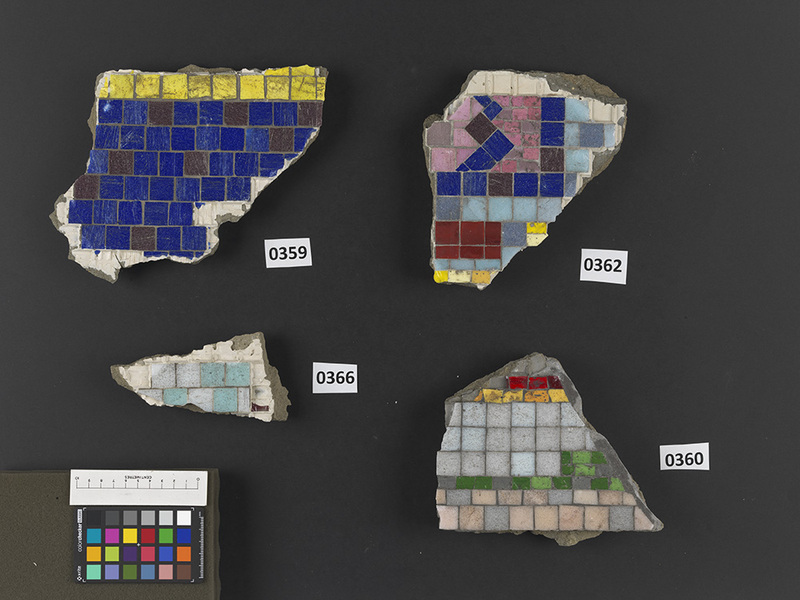 The majority of what is still to come are much larger mosaics fragments. I may be required to digitally stitch multiple images together in order to produce a single image. This is because some mosaics may be too large to photograph in their entirety on the copy stand. No doubt this will raise some new challenges to overcome!